The cyberthreat landscape keeps expanding but finding skilled cybersecurity pros is an increasing challenge for today’s organizations. In fact, only 14% of IT security managers feel there are currently enough cybersecurity professionals in the field with the needed skills to hunt down and respond to threats. 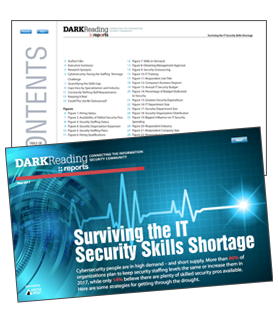 For “Surviving the IT Security Skills Shortage,” Dark Reading surveyed security professionals from 400 leading organizations on their IT security staffing status, plans and challenges. Learn more about the implications behind these statistics and what they mean to the future of cybersecurity by downloading the full report here.